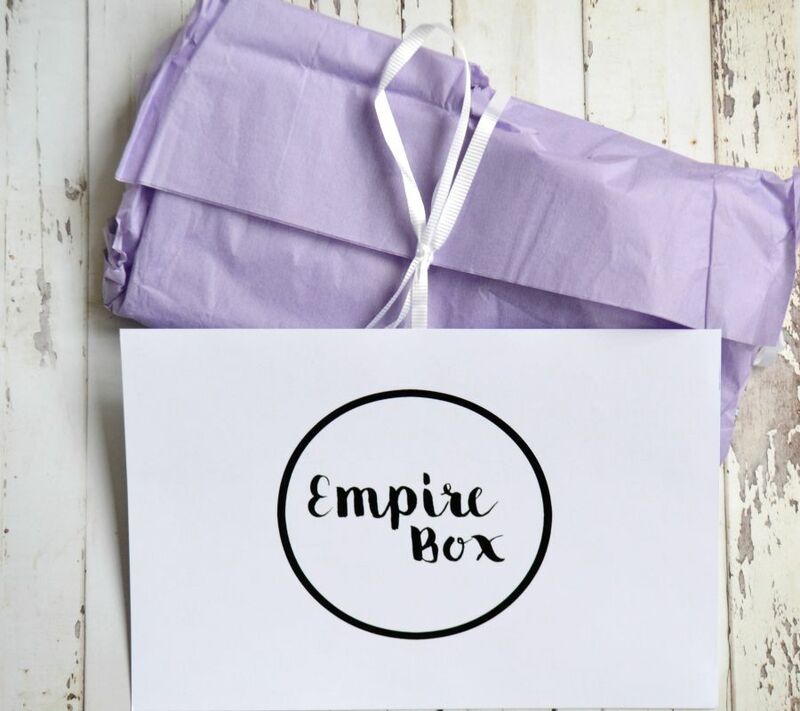 Empire Box is a new subscription box available in Australia. This is the 3rd box that they've released and the very first box that I've received. I bought a one off box because it had a sneak peak of one of the products in the box that I adore. You can purchase a one off box for $29.95. I used the code EMPIRE5 to receive $5 off. It comes in a cardboard white box. I know people like receiving fancy boxes, but to me it's a waste of money as I always throw them into the recycling bin so I prefer the plain packaging. This was sent from Canberra on Friday and I received it here in Adelaide today (Thursday). This is actually the reason why I bought the box. I love this hair treatment. It makes my hair feel amazing and leaves it so soft. I have run out of this and was going to purchase one from their website (it costs $19.95) but when you factor in delivery, it was going to be around the same amount that I paid for this box. If you haven't tried this, order one because it's so great for your hair! I've never heard of this brand before, but after looking at their website they have some gorgeous products. 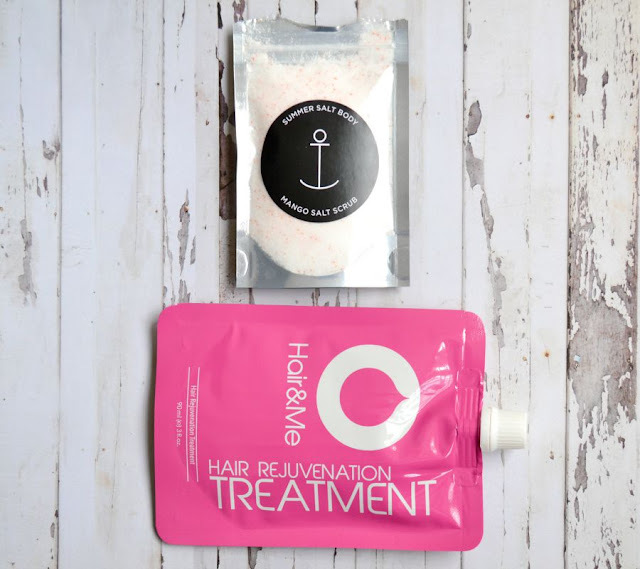 They're handmade in Melbourne and are ocean inspired natural body products. They have both watermelon and a pineapple body scrub, which I HAVE to order!! I received a mango body scrub. It smells nice. I don't use scrubs often (mostly just for my tired feet) but I'm really excited to use this. There were 2 cute mini OPI nail polishes in the box. I received a vampy berry/black cherry colour called "Visions of Love. This is from a Mariah Carey collection and you can see a swatch here. The other one is a fun Barbie pink called "Pink Outside The Box." See a swatch of it here. I really like the fact that these are mini sizes as I have never finished a bottle of nail polish... even a mini!! This is a nice inclusion, but I most likely won't use it as I have a Shu Uemura eyelash curler already. I've never actually heard of this site before. 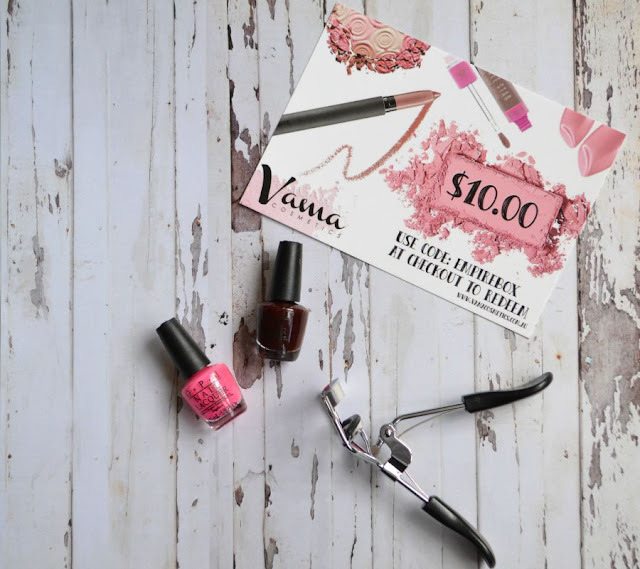 They sell products from Ardell, Jeffree Star, BITE Beauty, Milani and more. I'm not sure if I'll use this, but it's a nice added extra. And that's what was in the box. Overall it's a nice box, but nothing revolutionary. I'm not sure if I will purchase the October box yet. I might just wait for a sneak peak before deciding. You can find out more about Empire Box here. This looks like a lovely box!! The salt scrub sounds really good. I haven't ordered from the before but I did just place an order for The Handmade Box for next month so hopefully it'll be good. Hmmmm...that scrub is something worth trying out. It seems like a good one. I love the pink opi nail polish colour!